The young teams has drawn a strong contingent of bike enthusiasts. 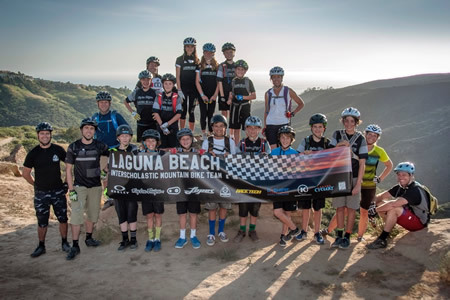 The Laguna Beach Interscholastic Mountain Bike Team and Laguna Canyon Foundation will host the first Laguna Dirt Fondo fundraiser Saturday, Nov. 7. Dirt Fondo emphasizes having a fun and safe time while learning about the trail system in the Laguna Coast and Aliso Woods Canyon Wilderness areas. The 25- or 50-mile route starts at the LBHS track at 9 a.m. and will cost participants $25 to $50. Pre-register at Laguna Cyclery, 240 Thalia St. Registration will be limited to 100 riders.